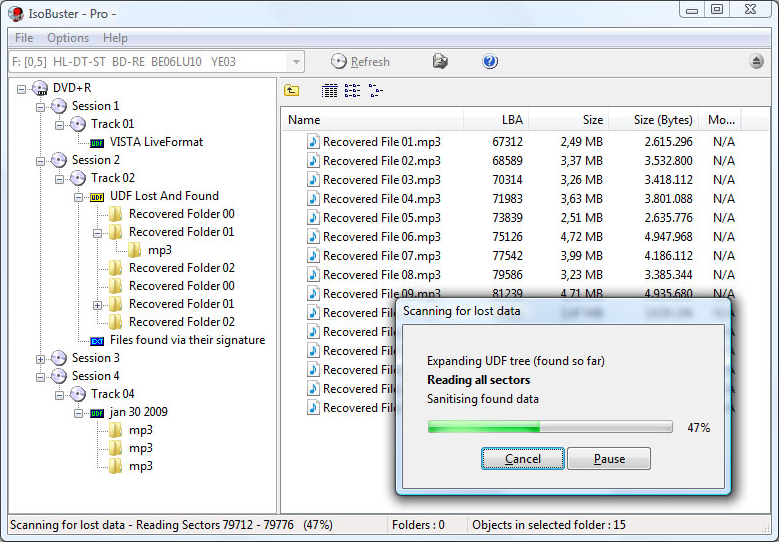 IsoBuster is a highly specialized yet easy to use media data recovery tool. It supports all disc formats and all common file systems. Insert a disc, USB stick or memory card, Start up IsoBuster and select the drive or media (if not selected already) and let IsoBuster mount the media. IsoBuster immediately shows you all the partitions or tracks and sessions located on the media, combined with all file systems that are present.